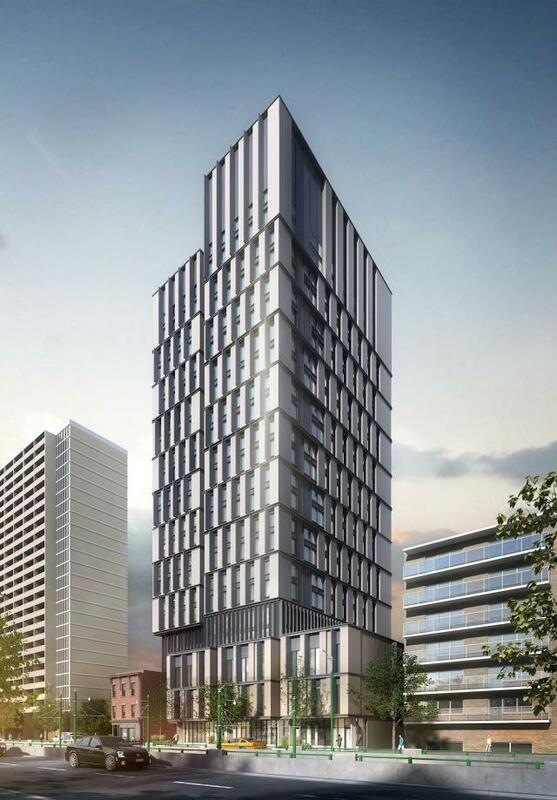 Proposed 23-storey UofT residence tower to go up along 698-704 Spadina Ave, at the northwest corner at Sussex Avenue. Designed by Diamond Schmitt Architects, this new structure will house over 500 students, part of a larger effort to add 2,300 residence beds to the UofT St. George Campus by 2020. The tower will include at-grade retail, including a cafe, with office space to be leased out above.